Buckhead Diner is not new to us. We fell in love with it several years ago but it is still the perfect place for dinner. Everything we have ever eaten here is absolutely amazing... the crab cakes, calamari, blue chips, etc. 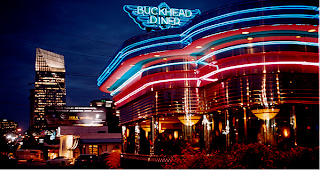 If you ever make your way to Atlanta, you HAVE to eat here, you may even spot a celeb or two (we never have but it is wishful thinking). This store is amazing and their blog is even better (I follow it with my Google Reader). 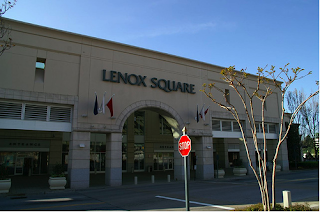 It is located in the Peachtree Battle shopping center. We have been in three times and once we get a house, I will be their #1 customer. Tons of bed linens, baby bedding and gifts fill this quant little store. Aaron and I bought our mothers a monogrammed hankercheif here as presents for our wedding. Gramercy has such great people and is a gorgeous store. You can't mention restaurants without mentioning Mexican. We are a sucker for Mexican food and eat it AT LEAST once a week (it has been three times some weeks). We found our Mexican place! El Azteca is across 285 from us and is always packed, so you know it is good. The food and drinks are awesome but no place can ever hold a candle to our beloved Mexico Tipico. We actually just discovered this precious garden and gift shop on Tuesday (we have been looking for fall decor but can't find the right thing). This store is so cute. I wanted to buy everything, which was probably a good reason that Aaron tagged along. They have everything from trees and coffee tables, to potted plants and mirrors. We will definitely be back once the Christmas shopping season comes knocking at our door. This is the best lunch spot. It is a new Panera for us. The sandwiches and salads are amazing. 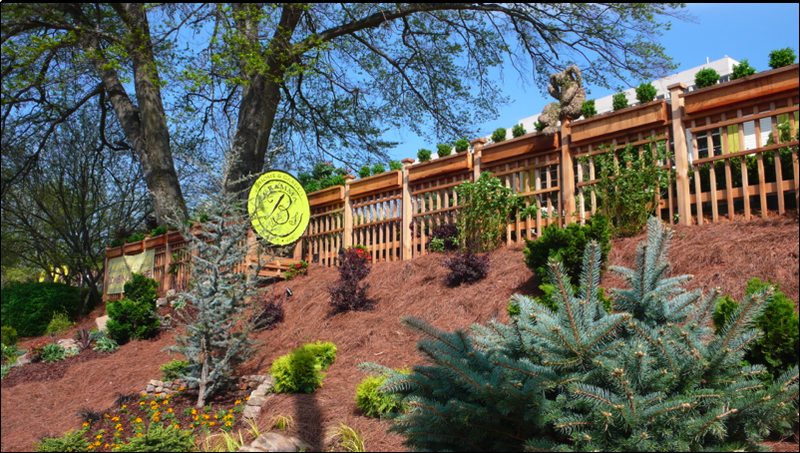 If you are ever in Atlanta during lunch, stop by the Lenox or Peachtree Road locations. There are dozens of these stores around Atlanta. Their clothes are adorable and at such good prices. I have bought two sweaters, a dress and shirt since being an Atlanta resident. The selection is huge and ever-changing. I have found my go-to boutique and the sad thing is, that was one thing I was stressing about. What can I say.... I like my clothes! The first thing someone says when you say Taco Mac is "oh that is that really crowded place at the CNN Center during the SEC Championship." Yes, you are right, but no, don't eat at that one. Really do you want to go to dinner at a football arena? Boys, don't answer that! Well we have one about a mile from our apartment and Aaron has found his "sports" bar. There are over 140 different kinds of beer. The beer even has its own menu. It is a really good place to watch football if you happen to miss out on going to the game. The food is pretty good too but the drinks are definitely the attraction. 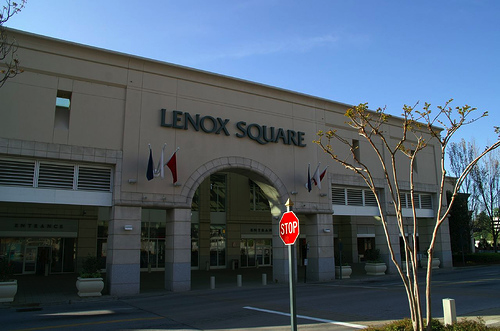 If you think this is the first time I have been to Lenox Mall, you must be crazy. If I am missing, look here. Let me name the reasons I love this place... Crate and Barrel, Madewell, Bloomingdale's, Anthropologie, Pottery Barn, Urban Outfitters, French Connection, BCBG, Sephora. There are many more to add. Aaron and I lived here while looking for wedding party dresses during the summer, but what girl could hate that chore. So when you come to Atlanta, visit some of our favorite spots. Hopefully, I will have another list to add soon!